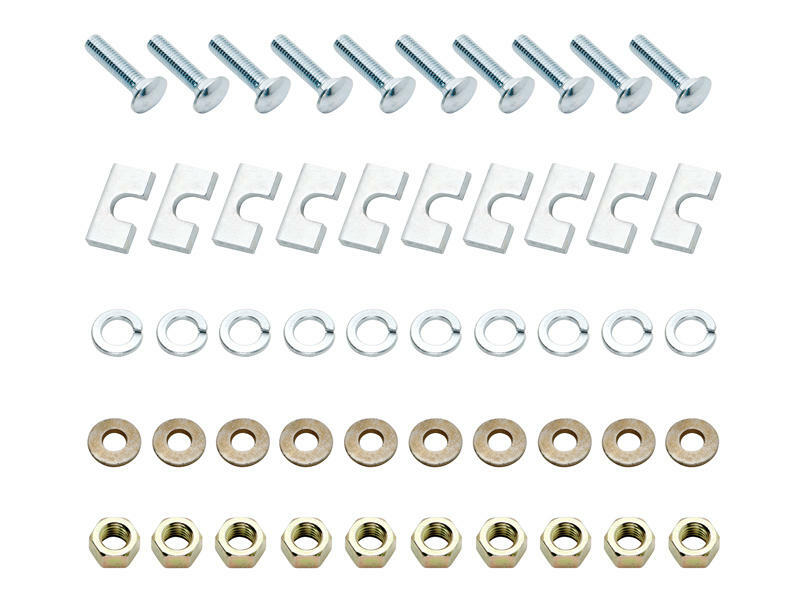 This hardware kit contains all necessary fasteners to attach Fifth Wheel Rails to Quick Install Fifth Wheel Mounting Brackets. This hardware kit is included in Universal Rail Kit, part number 58058. This kit is required if installing a set of used rails to Quick Install Fifth Wheel Mounting Brackets. Note: Quick Install Fifth Wheel Mounting Brackets only include the hardware necessary to attach the brackets to the vehicle frame. 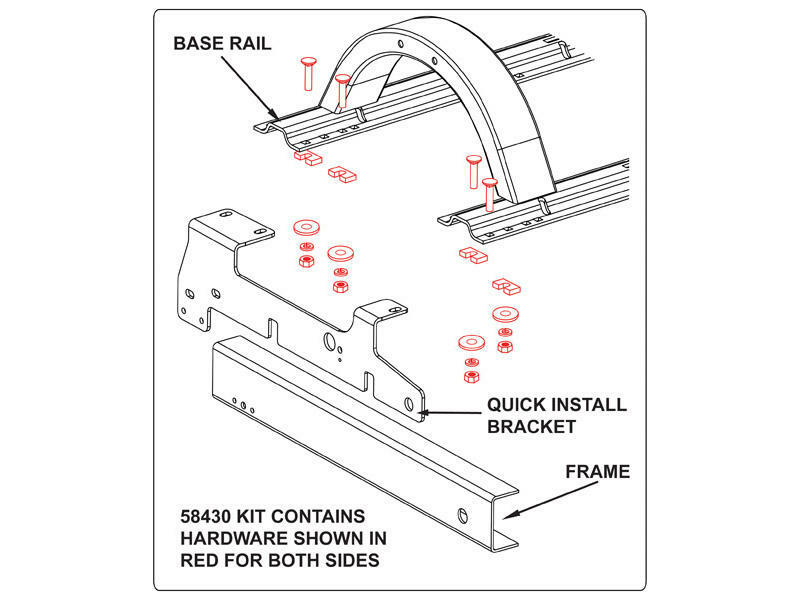 This hardware kit is required to attach rails to those brackets.